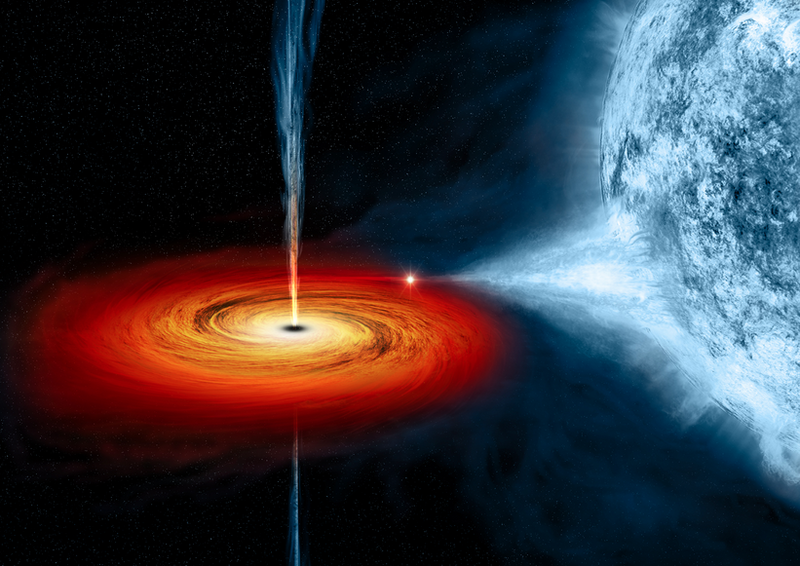 An artist's illustration of a supermassive black hole. Scientists still have a lot to learn about black holes, the spaces at the center of every large galaxy where nothing can escape. 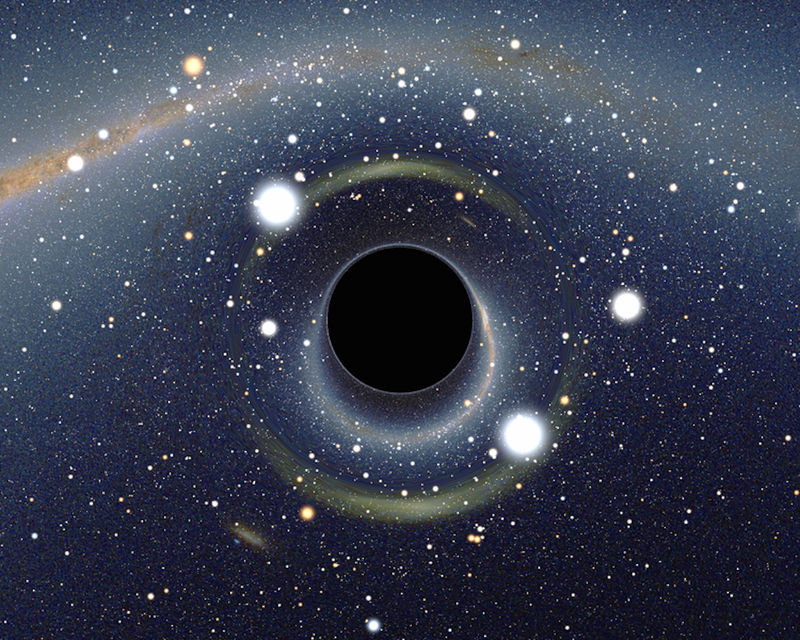 Because black holes devour light, getting one on camera has proven nearly impossible. For the first time ever, scientists are set to reveal a photograph of a supermassive black hole that's millions, perhaps even billions, of times more massive than the sun. The heart of every major galaxy is said to contain a supermassive black hole - a place where anything, including light, can be devoured to the point of no return. For years, scientists have struggled to capture one of these deadly masses on camera, since the absence of light renders them nearly impossible to see. Now, for the first time, a group of scientists from the international Event Horizon Telescope (EHT) project are expected to unveil a photograph of a black hole to the public. The EHT project, which relies on data from a global network of telescopes, began collecting information about black holes back in 2006. The image that's set to be released on April 10 is the result of observations that started two years prior. Our closest black hole won't do us any harm. It's about 26,000 light-years away from Earth. Like all black holes, suppermassive ones form when stars collapse in on themselves at the end of their life cycle. On average, they're millions of times more massive than the sun. The April 10 image will show one of two supermassive black holes: Sagittarius A* from our Milky Way galaxy or M87 from the next-door Virgo A galaxy. Sagittarius A* is said to be 4 million times more massive than the sun and some 26,000 light-years away from Earth. M87 is said to be 3.5 billion times more massive than the sun and around 54 million light-years away from Earth. Thus far, our understanding of these black holes is based on renderings or models produced by artists and scientists. Though scientists may not be able to see a black hole on its own, they're able to detect the stars and gas that orbit it, which give off radio waves that can be captured by a high-powered telescope. This has shaped our common view of a dark sphere surrounded by a glowing ring or crescent of light. A black hole rendering shows a crescent, not a ring, of light. "As a cloud of gas gets closer to the black hole, they speed up and heat up," Josephine Peters, an astrophysicist at the University of Oxford, told Business Insider in October. "It glows brighter the faster and hotter it gets. Eventually, the gas cloud gets close enough that the pull of the black hole stretches it into a thin arc." Two of the most notable theories about black holes hail from physicists Albert Einstein and Stephen Hawking. Before he passed away in 2018, Hawking posited that "black holes ain't as black as they are painted," because certain particles might be able to escape. 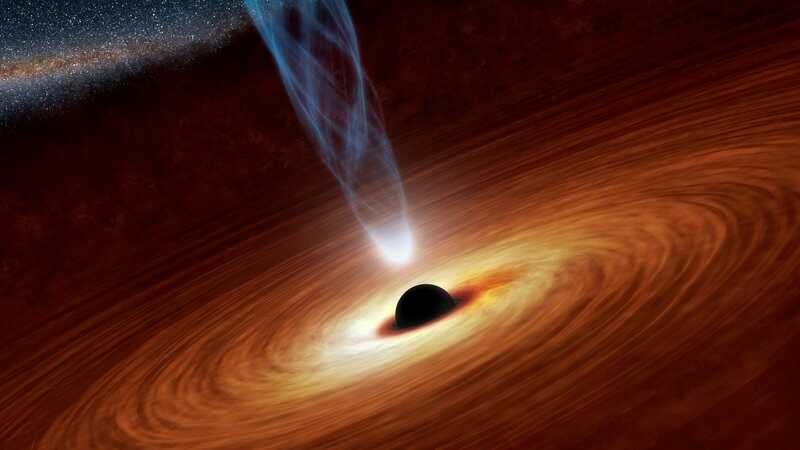 But according to Einstein's theory of general relativity, a black hole is so massive and spins so quickly that it distorts space-time, ensuring that nothing can break free from its gravitational pull. The theory also says that these forces create a unique shadow in the form of a perfect circle, i.e. the dark sphere at the center. The EHT photograph could confirm or deny this long-held assumption. Though black holes aren't close enough to pose a danger to Earth, they remain a window into some of science's greatest mysteries. Determining how they look in look real-life is an unprecedented step toward understanding the nature of our universe.